If a great chief or king sent an invitation to us asking us to come and live with him, so that we could be with him on all his journeys, we would be very happy. It would give us great joy to think that such a wonderful man had chosen us to be his friends. The Lord Jesus Christ has invited us to follow Him and be His friends! What greater honor could we have? One day as Jesus was walking beside the Sea of Galilee. He saw two men, Peter and Andrew. They were fishing. Jesus said to them, ‘Follow me, and I will make you fishers of men’ (Mathew 4:18, 19). Another day Jesus passed an office where a man called Mathew was collecting custom fees, and He said to him, ‘Follow me’ (Mathew 9:9). When these men received invitation from Jesus they immediately left everything behind and followed Him. They were willing to leave their work and families and walk with Jesus? It was because they knew that Jesus was the son of God, and it was a great honour to receive an invitation to be one of His followers. They knew that Jesus was able to give them eternal life and this was of more value than the worldly things they were leaving behind (Luke 18:29, 30). Although Jesus has now gone to heaven He is inviting us to follow Him. He invites us through His word, the Bible. First we find that the invitation is for everyone. ‘I will never refuse the person who comes to me,’ He says in John 6:37. Peter tells us in acts 10:34, 35 that God does not favor one person more than another, but the invitation is to people of every tribe. Perhaps you who are studying this lesson have thought that God is not interested in you because of your family, or your tribe, or because you do not have much education. If so, you can be rejoice and be full of joy because the invitation from Jesus comes to you as well as everyone else (Acts 2:38). Then there are special invitations to those who have special needs. There is one for those for those who are weary and tired because they are carrying a heavy load of sin. Perhaps for many years they have carried this load and they have found it very, very heavy. As one sinful habit after another have been formed in their lives the load has become heavier. To people like this Jesus says, ‘Come to me’, and I will give you rest (Mathew 11:28-30). And Jesus cuts the rope that bind these burdens. Another special invitation is given to those who are thirsty. We know what it is like to be thirsty of water. How we long for a lovely refreshing drink after a hard job or difficult walk, and if there is there is no water near, we cannot do anything else before we find some. But the invitation we are thinking about here is not for just for those who are thirsty for water. It is for those who are thirsty in their souls. many people are unhappy. They do not have joy and they are looking for something that will give them real joy in their hearts. Many have tried beer dancing, adultery, and other things but they are still thirsty. To them, Jesus calls, ‘if anyone is thirsty, let them come to me and drink’ (John 7:37; see also Revelation 22:17). How thankful we should be for these invitations to follow Jesus, the Son of God. If we are weary and tired, or thirsty, or lost, we should come to Home today, accept His invitation, and become one of His followers. The following bible study will point out to us from scripture how we can follow Jesus. 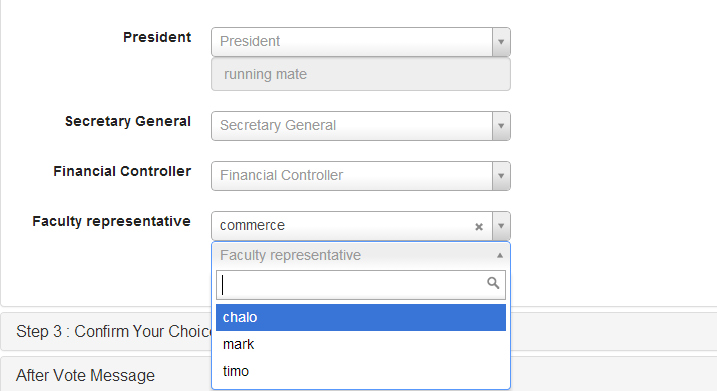 Lately, I have been on a project that required a heavy use of HTML select. 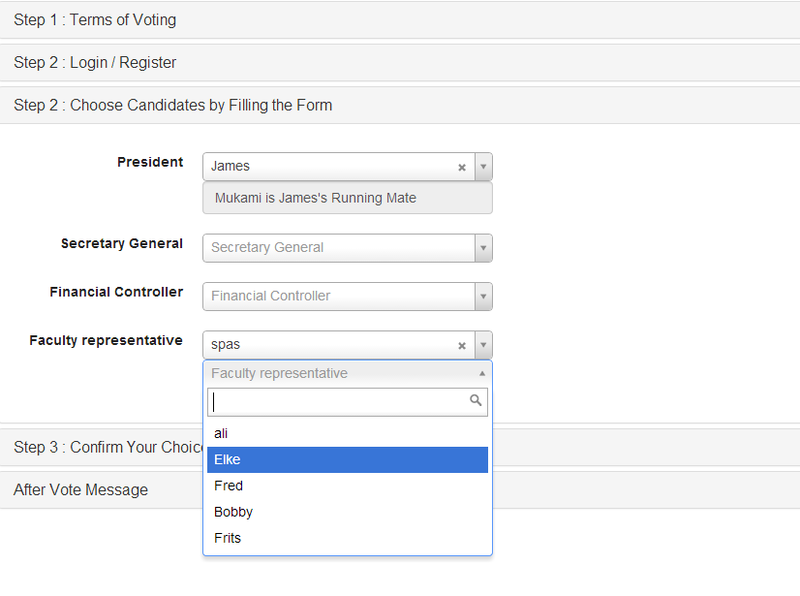 I choose select2 after a period of comparison which other plugins like choose.js and selectize.js. it was very easy to get along, thanks to the almost enough documentation. i am writing this post to answer my own question which I asked at stackoverflow, since I never got even a single relevant response. Its really scaring how some stackoverflow boys want to cause trouble when you mean no harm. I mean, if you see someone asking a SLIGHTLY AMBIGUOUS question, it means that most likely, they only have the idea of what is to be done. Sometimes you don’t even know what to Google, so you feel inclined to ask a question so at least you get your search terms right, or should stackExchange have another site called “search-terms”?? I will say this again so it doesn’t seem like I gave the wrong title, “GOD DOESN’T LIVE, HE EXISTS!” What do I mean? What is the difference between living and existing anyway? Living revolves and involves a purpose, but God doesn’t have a purpose for living, in fact, He doesn’t require to live (or have a purpose), He just or plainly exits. Each and every one of us is a god! That is why we are able to tame every animal, plant, even people and sometimes creation. That’s why we are all free thinkers, well, unless you are locked to the cages of un-civilization, culture or religion. He wanted to be served by us free willingly. Well thank you for pointing at me, “Look at this fool.” How many fingers of you are pointing at your chest as you point at me? Three! Three fingers telling you to be less stubborn and at least go research about this free revelation, that is if you will not be willing to be accept it. But in general, in order to co-exist with each other, we all have to be at one time or the other be tamed, so that we don’t misbehave. That’s why we have the constitution, personal principles, freemasons, including culture, beliefs, faith, and religion. Long time ago (like 10 years back from today, 1/8/2015), I found a very small book in our home. I choose to take it, and I opted to understand what it contained. It had no cover page, and most of the last pages were not there, besides the remaining ones being torn. 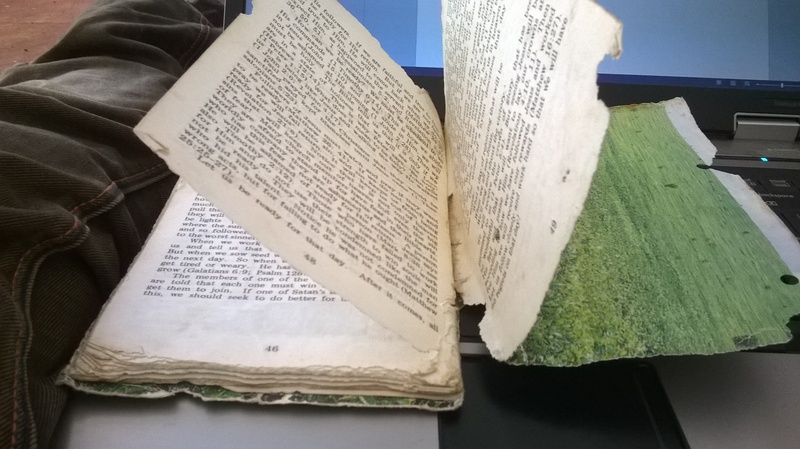 The remaining pages had stood the test of time and the wrath of hungry rodents. The book had content related to the journey of Christian salvation. Now am in my final year in campus and after a very long time of searching its presence online, I succeeded in failing to find it. So I have decided to write it, letter by letter, thanks to my 2nd New Year (2015) resolution of writing at least three posts per week. 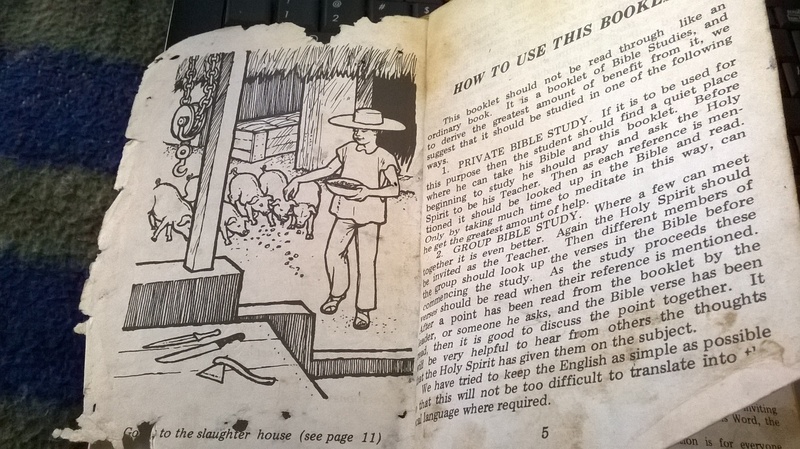 Here at school, there are bible study sessions with very nice guide books, but none is close to how compelling and convincing this little book I found when I was in primary is. iii. How can we follow Jesus?